With over 106 million users sending more than a total of 140 million updates per day; you can see why we think Twitter is an essential platform for your small business. We’ve written about Twitter a lot, everything from finding people to follow, finding content to share and how to organize your Twitter stream to keep up with the conversation. One of the questions businesses often ask is “How often should I Tweet?” This topic has been debated by social media pundits, almost since the dawn of Twitter. The truth is, there isn’t a a “one size fits all” answer. 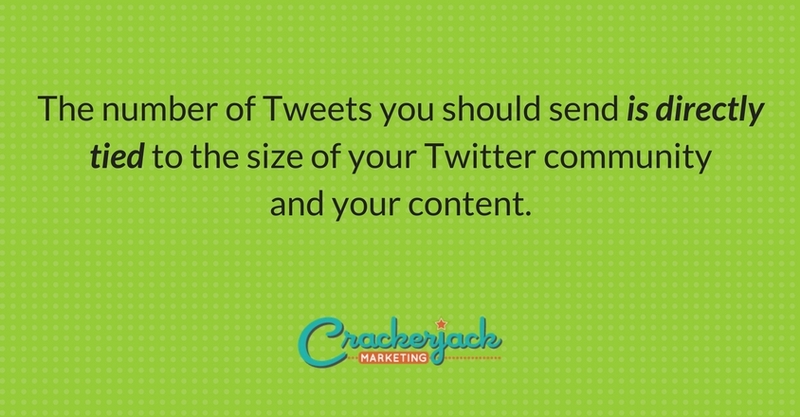 The number of Tweets you should send is directly tied to the size of your Twitter community and your content. For your brand or business, this may mean 7 days a week or only Monday – Friday, depending on when your customers are online. This doesn’t mean scheduling or Tweeting at the same time, every day. It means that you shouldn’t send out 65 Tweets in one day and then not return to Twitter for a month. Remember, you want to be a “Mindful Maven.” If you’re Tweets are constantly about your own business or blog posts, you’re followers will catch on and ignore them. Even worse, they are likely to quickly unfollow you. Twitter is about having conversations, not just broadcasting links or announcements. Seek out, join and start conversations. In this aspect, you really can’t Tweet too often. Yes, you can Tweet too little, and yes, you can Tweet too often. It’s okay to experiment a little; update at different times and at different frequencies; Tweet out different types of content to find out what resonates with your Twitter followers. The most important thing is that you just do it and do it consistently, with good content and your community in mind. https://crackerjackmarketing.com/wp-content/uploads/2017/02/CJM-Header-Logo-New.png 0 0 Christina Strickland https://crackerjackmarketing.com/wp-content/uploads/2017/02/CJM-Header-Logo-New.png Christina Strickland2011-12-13 04:18:202018-01-29 07:16:31How Often Should I Tweet?